Where can Echinopsis be grown? Pretty much anywhere summer temperatures are consistently 21C/70F or greater, which is warm enough to spur growth of both Echinopsis plants and their amazing flowers. How wet or dry the climate may be matters little to Echinopsis. I live in super humid Florida and mine do just fine. 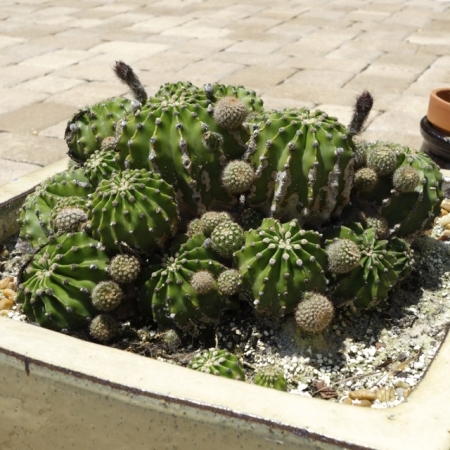 Now, just to be clear, I’m not saying you can plant Echinopsis out in the open in Florida or a similar climate and that they would do well in the virtually daily rain of summer. No, that would mean their roots would be sitting in water almost continuously … the one sure no-no. I keep mine in pots under the eves of my house and out of most of the rain. But they’ve done just fine here in Florida despite the fact the humidity rarely gets below 80%. Echinopsis also tolerate cold temperatures well during winter months. Obviously, however, they must be brought inside during hard freezes or their water-filled bodies will freeze as well. Actually, Echinopsis not only tolerate cold temperatures, they enjoy the cold during the winter months and go almost dormant. Many growers believe that this cold period is key to good blooming the following year, which means that if you live near the equator where it’s hot hot hot all year long, you may need to find a way to get your Echinopsis a break from the heat for a few months if you hope to get good flowering. Can I grow Echinopsis indoors? Yes you can. But honestly it’s not the optimal choice, especially for getting flowers. First off, during spring-fall growing season, the plants need max sunlight and max heat to create the most blooms. Secondly, during winter dormant season, they actually enjoy being cold (but not frozen) and, as mentioned above, many growers maintain that this cold period is important to the next year’s flower production. Now, if you live where it gets below freezing for some or much of the year, you can’t keep Echinopsis outside at those times and you could grow them indoors during that period, hopefully moving them outside to a bright location once night time temps stay above freezing and making sure that, come summer, they get plenty of heat/light to generate flowers. Or if you just would like to have an nice cactus friend at your desk or in your kitchen, you can keep an Echinopsis inside year round. It’s just unlikely to do much in terms of flowering given the limited light (no indoor light is a fraction as strong as full sun) and the consistent temps which mean too little heat in summer and too much heat in winter. Compared to most cacti, Echinopsis bloom fast and furious. They typically begin blooming as soon as daytime temperatures consistently exceed 21C/70F (that’s in April here in Jacksonville, Florida in the US). And many Echinopsis varieties put out repeated flushes of flowers until daytime temperatures drop below the magic 21C/70F line. Echinopsis flowers grow rapidly. Early in the growing season, it may take from 3-4 weeks for a flower to grow, already darn fast by cacti standards. But once daytime temperatures exceed 27C/80F, the speed of flower growth can pick up, sometimes being a little as two weeks from the first sign of flower growth until bloom. Most blooms only last one day and they open at night. But it’s common to have several buds on one plant developing at different rates; so a single plant can be in bloom for several days. When a flush of flowers completes blooming, it’s common for the plant to take a breather lasting from a week to a month and to then put on another flower show. Depending on the species/hybrid and your local conditions, this cycle can repeat for as long as the weather stays sufficiently warm. As a general rule, the smaller the diameter of the blooms a Echinopsis species produces, the more blooms the plant produces. Species that produce monster blooms (some over 6” in diameter) tend to have fewer blooms as so much plant energy goes into producing each one. Echinopsis generally begin to produce flowers when they are two or three years old. Different varieties approaching second bloom in May. In what type of soil should Echinopsis be planted? 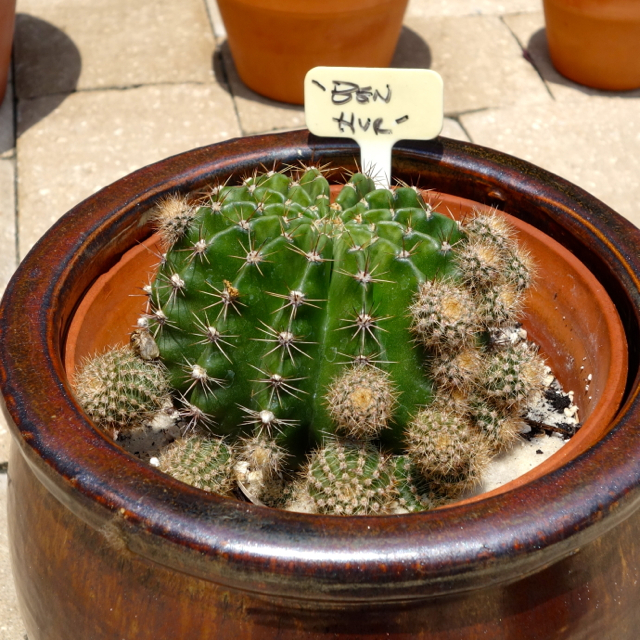 Don’t plant your Echinopsis (or any cactus or succulent) in regular potting mix … it retains too much water for far too long. Home Depot, Lowe’s, Ace, etc., often offer pre-made “cactus mix,” but many times this contains peat moss and other fill and still retains too much water to be optimal. Consider mixing 25% perlite/small crushed rock or even small pebbles into the pre-made cactus mix to further enhance its drainage. It’s easy and cheaper to just make your own Echinopsis-mix by combining 40% perlite/small crushed rock/small pebbles, 20% sand with 40% soil. Echinopsis are pretty forgiving, so you need not be super scientific about your percentages. Just make sure you don’t have over 50% regular potting soil. I’ve taken to using crushed rock instead of perlite in my mix, both because perlite is pretty expensive and also because it always seems to separate from the soil after repeat waterings. 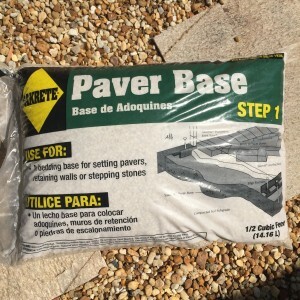 A very convenient source of pretty finely crushed rock is “Paver Base … Step 1,” which I’ve found at most at Home Depot and Lowe’s (large home improvement stores). 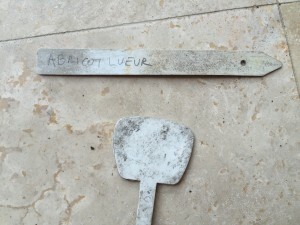 This product is found in the driveway/sidewalk paver department, not in the garden department. It comes in a 40-pound bag, so you are getting a large quantity in one shot. But at less than $4 a bag, it’s cheaper than a small bag of perlite. 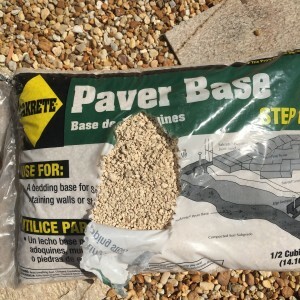 “Paver Base … Step 2″ is a finer sand, so you can grab a bag of it to use as well. 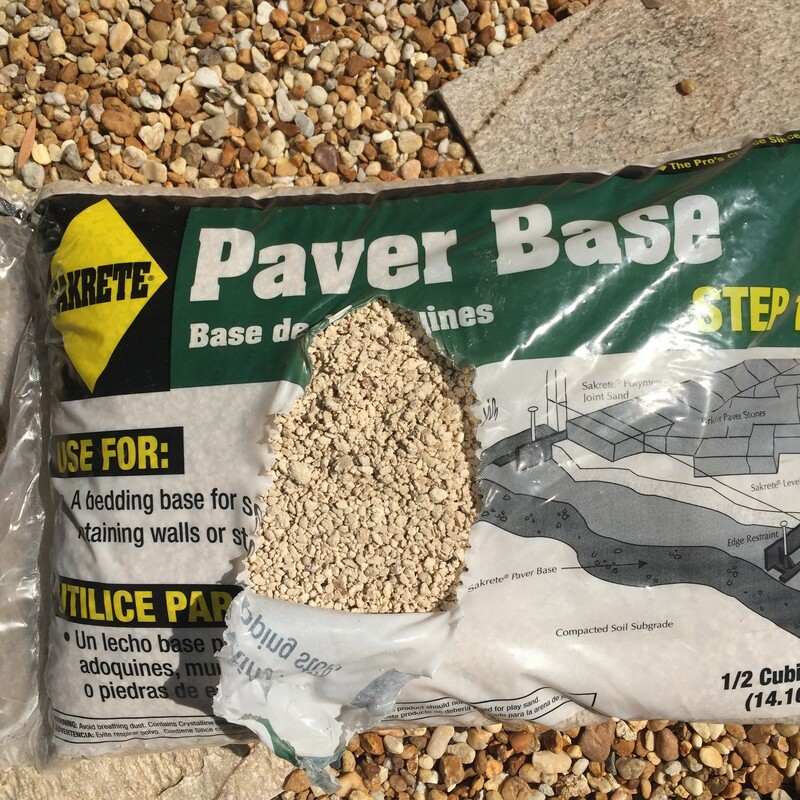 If your Home Depot, Lowe’s or equivalent doesn’t carry Paver Base type products, you can consider using small pebbles in lieu of perlite. 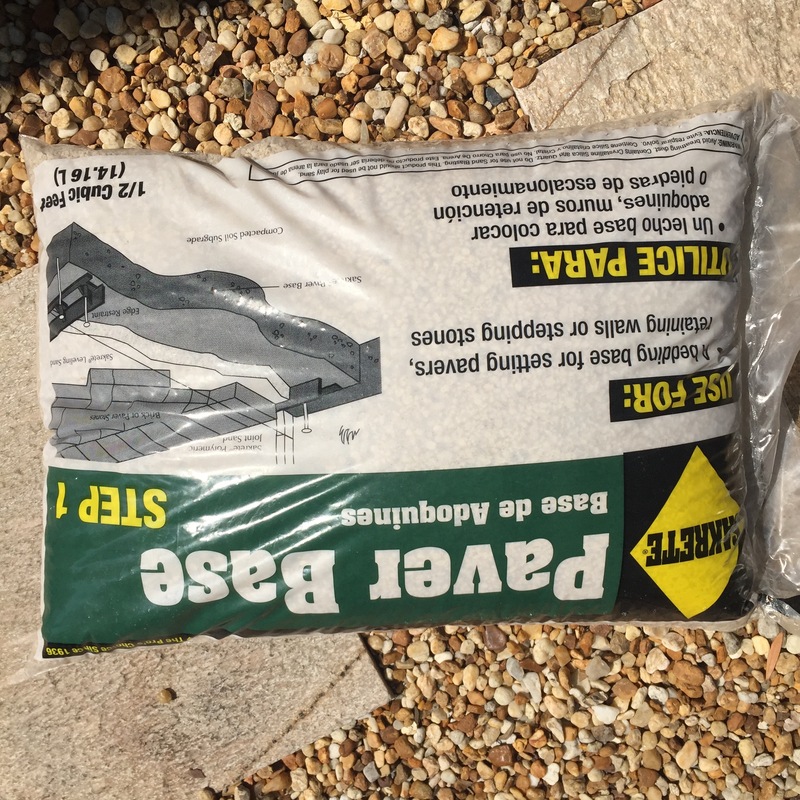 Bags of small pebbles are typically found in the garden department. But you typically won’t find sand in the garden department. Look instead in the building department where concrete mix is kept … and choose gritty builders’ sand, not fine playground sand. After you’ve planted your Echinopsis, sprinkle a little extra sand around the base of the plant. Don’t worry about getting some on the cactus itself. As you water the cactus, any sand on it will wash off into the surrounding soil. Echinopsis experts say this sand provides a little extra abrasiveness that can help create an environment conducive producing “pups” … offspring of the original cactus. As the pups grow you can transplant them to new pots (details below) or leave them be to create a cluster of Echinopsis that puts on a flower display that knocks your socks off. What type of pots should I use? Echinopsis can be planted in the ground, but that’s only a good choice if you live in an area where there’s no risk of a hard freeze over winter and where the ground won’t be water logged for extended periods following heavy rains. In other locations, potting your Echinopsis is the simplest way to grow them, making it easy to move them to different locations as need be. Echinopsis have shallow root systems, thus shorter pots (aka “azalea pots”) are a fine choice. It’s even a good idea to add an inch or so of pebbles to the bottom of the pot (more if you’re using a pot of normal depth vs. an azalea pot) to facilitate rapid draining of excess water. Pots of any material are fine. Just be sure to adjust your watering schedule accordingly, e.g., more frequently for clay pots (as they get hot and water in them evaporates more quickly) and less so for plastic. How frequently should I water my Echinopsis? Echinopsis come originally from the hills and mountains of South America. They aren’t desert cacti. 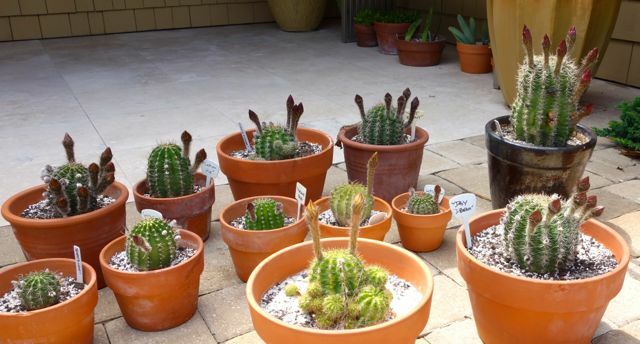 Thus, during growing season, they can handle and, in fact, need more water than is typical of many types of cacti. Once daytime temperatures climb above 21C/70F, Echinopsis enjoy regular watering. Yes, Echinopsis can survive with little water, but they will grow few flowers if they are parched. How often you’ll need to water is going to vary widely based on the weather, the size and type of pot, the nature of the soil, etc. A common practice is to stick a pencil into the soil and see how much soil sticks to it when you remove it. If little sticks, the soil has dried and it’s time to water. Please note that when an Echinopsis has buds growing it’s important to keep its pot from going bone dry. Should that happen, the buds are likely to cease growing and you’ll lose that flush of flowers. When you water your Echinopsis, do so thoroughly. Flood the pot until water comes out the hole in the bottom so you’re sure the entire root structure receives water. Again, this relatively heavy watering regime is during growing season … typically April-September in the Northern Hemisphere. Watering plants too much during the winter months/dormant period is a sure fire way to end up with rotting Echinopsis. Don’t do it! How much sun should my Echinopsis receive? Echinopsis require a good deal of sun if you expect to maximize blooming. This is particularly true during growing season, much less of an issue when your Echinopsis are dormant during the winter. However, if you reside in a location where the long hours of summer sun are particularly intense, it’s definitely possible to have too much of a good thing. Leave your Echinopsis out all day in the summer sun of Arizona, Florida or the like and you may end up with sunburned cacti. Some species/hybrids are far more susceptible to sunburn than others. The best strategy is to max the sun your Echinopsis get, so you’ll max the opportunity for flowers. But keep a close eye out for sunburn (yellow/brown discoloration on surface of the plant). If you spot specific plants having sunburn issues, move them to a location where they will get a couple hours less of sun a day. During winter months, Echinopsis are effectively dormant; so don’t give them any fertilizer. But once the growing season begins, Echinopsis love a good dose of fertilizer to promote growth and blooming. The best choice is to use a “bloom boost” fertilizer. Miracle-Geo and other garden outfits offer this type of fertilizer, which typically is 15-30-15 … the 30 being a double zap of phosphorus to hopefully pump up the blooming. During growing season, I use a diluted bloom boost fertilizer every 3rd time I water. On the rare occasions I water over winter, I do not use any fertilizer. A word of caution: after you give your cactus water that contains fertilizer, it’s important to rinse the plant bodies off. If you leave any fertilizer on the skin of the cactus itself, there’s a increased risk of it being sunburned or burned by the chemical itself. When I give my collection water with fertilizer, I follow up with a spray bottle of tap water to rinse the plants. What should I do with wilted blooms? Wilted blooms. A good “problem” to have as that means you’ve had flowers! If you leave them be, they will dry out and eventually fall off. But that can take several weeks or more and they aren’t pretty in the process. So you can also clip off the bloom with scissors close to where the bud connected to the parent plant and then let the remaining bit dry and later twist it off. Or you can also just twist off the bud by grabbing it close to the base and having at it. But!!! It generally makes sense to wait at least 3-4 days before doing this as you can end up tearing a bit of the parent plant in the process if you do immediately after blooming. Again, the wilted blooms don’t cause any problem by being there besides not looking pretty. So, unless there’s an important reason, the best answer is to let they wilt/dry out for a week plus and then twist them off. How should I write up my name label? Ah, my most valuable tip! Use a pencil,not a so-called permanent marker. 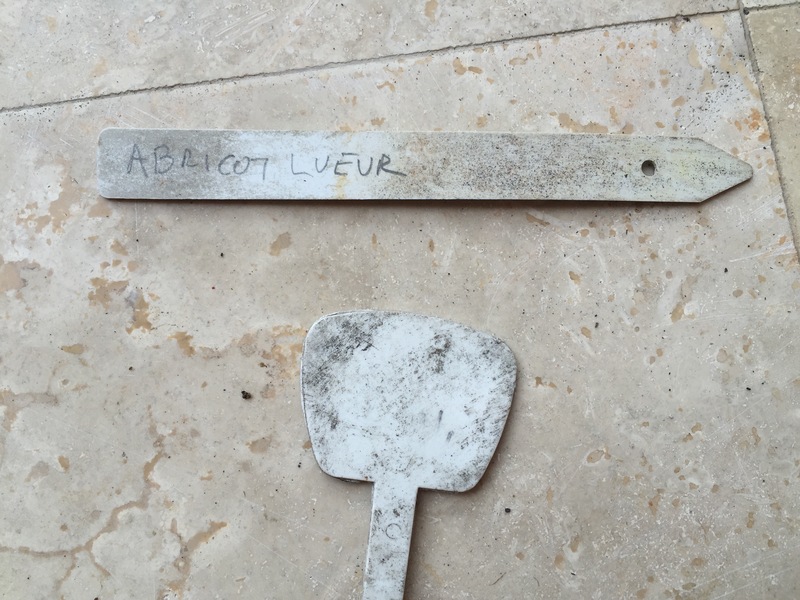 The image below shows two plant name stakes after a year in the elements. The one written in pencil is still easily read. No hint of the name remains on the one I did in marker. When should I repot my Echinopsis? In a perfect world, you would repot your Echinopsis every spring as fresh soil boosts flower and overall plant growth. If that’s unrealistic, you can get by only repotting every 2nd or 3rd year, but it may cost you some blooming. Repotting each year gives you a chance to see how large the root structure has grown over the past year. Some types of cacti prefer being root bound, but not Echinopsis. Make sure the pot a Echinopsis is in has sufficient room for another year of growth. If it doesn’t, move the cactus to a larger one. After you repot your Echinopsis, keep them in the shade for 4 or 5 days to let them recover from the shock of replanting. How and when should I separate pups from the mother Echinopsis? Here’s a close up of well over a dozen “pups” growing on a single “Ben Hur” hybrid. And here you can see numerous “pups” on this large cluster of Anastasia hybrid that grew from a single small plant. The cluster has become this large despite my having removed dozens of pups to start other free-standing plants. Some varieties of Echinopsis “pup” like mad. Others are stingy with offspring. Whatever variety of Echinopsis you have, with just a little work, you can grow the pups it produces into new plants to expand your collection and/or to give away as gifts. There are no special requirements … not even a need to use rooting hormone. All that’s needed is some initial care and time for the pup to mature into a flower plant (which can often happen within a year or two from when you replant the pup). The right time to remove pups for replanting is during the active growing season (daytime temps consistently above 22C/70F), not during the winter dormant period. Let your pups grow to 1” or larger in diameter before considering removing them from the mother cactus to start a new plant. They can be removed and replanted when smaller, but there’s no upside to starting them on their own at this reduced size. If anything, pups replanted when they’re quite small take longer to mature than ones that were left attached to the mother cactus until larger. Many times pups grow at the soil line and, when you pull them from the mother plant, they’ll already have a few roots. If they do and they are also free of open wounds (areas where the pup had been attached to the mother plant and where the skin of the pup is open to the inside), they can be planted directly in a small pot in the same rich soil you use for repotting. If, however, the pup has an open wound, you need to let it heal over before replanting. This is also true with pups that are growing on the mother plant above the soil line and, when you pull or cut them off, will by definition have wounds and no roots. When a pup has a wound, place it on a dry surface with the wound facing up and let it sit for 7-10 days in partial sun. Don’t water the pup during the healing phase as this could introduce bacteria. Once the wound has healed over completely, it’s ready for planting. Fill a small pot with the same rich soil mix you use when repotting mature Echinopsis. Next, make a depression about ½ -1 inch deep and fill it and the area surrounding the depression with a ½ inch layer of sand. The sand layer keeps the bacteria level around the pup low so rot doesn’t set in before roots form. Place the pup in the sand, but don’t push it through to the dirt below. When roots grow, they’ll push through the sand into the dirt. When you plant your pups as described above, the net result may be that most of the pup is buried with just a bit of its top showing. That’s fine. Just make sure the apex of the plant is clear of soil, as it needs to be able to breath. Since the replanted pup has little or no root structure, it needs to be given a little water every other day or even every day if it’s 32C/90F or hotter out. You don’t need to soak the soil as there are no roots deep in it. In fact, you don’t want to soak the soil. You want to hydrate the pup by putting water directly on it and lightly moisten the soil below it encouraging root growth in search of water. Follow this watering strategy for the first month or so. Once you see your newly planted pup has perked up and is starting to grow on its own, back off to the same watering schedule you’re following for your mature Echinopsis. A final note on pupping: Some species of Echinopsis spawn so many pups that you may end up with more than you’re interested in having as new plants. You can certainly just leave them be growing ever larger on the existing plant and turning it into a cluster of Echinopsis. This can yield dramatic displays with dozens of flowers blooming at the same time. However, at some point you may want to pull some pups off just to keep the shape of the existing plant cluster. There’s no harm in doing so.